The article discusses the importance of selecting a special surface coating or corrosion-resistant material for rolling, plain and linear bearings operating in harsh food, beverage or packaging environments. In the food, beverage and packaging industries, production is typically based on highly automated, fast moving processes and systems, where every second of production counts. In these operating environments, unscheduled production downtime is a crime and so processes, systems and individual machine components such as bearings must be energy efficient, cost effective and capable of withstanding harsh, often highly corrosive conditions. Schaeffler’s bearing range for food, beverage and packaging applications includes deep groove ball bearings, radial insert ball bearings, plain bearings, housed units, track rollers, slewing rings and linear guidance systems. While offering performance and a long service life, in many environments, a standard bearing material or coating may need to be upgraded in order to prevent wear or corrosion of the bearing and to improve the service life. Coatings can be applied to the surfaces of rolling bearing components without forming a material bond, for example, by diffusion between the coating and base material. 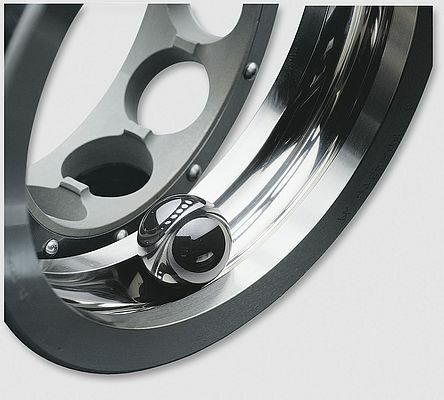 In many cases, it is sufficient to coat only part of the bearing or one of the parts that come into rolling contact. Schaeffler can advise customers when a coating is appropriate and what type should be used in certain applications. While standard steel bearing materials provide satisfactory corrosion resistance in many applications, for higher performance requirements, highly corrosion-resistant, nitrogen alloyed martensitic HNS (high nitrogen) steels – such as Cronidur and recently developed Cronitect steels – are also available. Cronitect provides maximum corrosion resistance under extreme operating conditions, including dry running applications or when bearings come into contact with aggressive media such as water, salt spray, acids and cleaning chemicals. Through its composition and thermo-chemical surface layer treatment process, Cronitect achieves an extremely high hardness. Even after 600 hours of salt spray testing in accordance with DIN 50021 SS, the material shows no signs of corrosion. Cronitect can be used across most of Schaeffler’s product range, including rolling bearings, linear guides and plain bearings. Rolling bearings that use Cronitect are available in both sealed and non-sealed versions. When used in conjunction with ceramic rolling elements, Cronitect bearings are particularly suitable for dry running operation. Bearings can be provided that combine conventional stainless steels such as AISI440C for the rolling elements with Cronitect rings and bearing seals. For example, bottling plants would typically need to replace all their AISI440C rolling bearings that come into contact with cleaning detergents, every four months. With Cronitect bearings, this interval can be doubled. 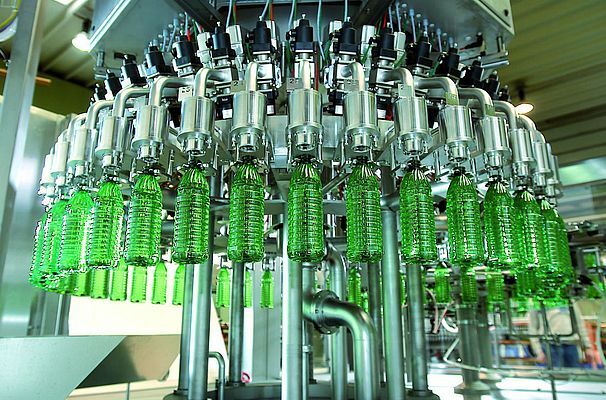 In a recent cam control solution for a bottle capping machine company, Schaeffler replaced its original solution – a standard stud type track roller immersed in an oil bath – with a roller stud, Cronitect outer ring, corrosion-resistant steel balls and an HRS seal. This improved solution requires no lubricating oil, has extremely high resistance to corrosion and aggressive media, while presenting no risk of contamination of foodstuffs. This has resulted in improved hygiene, reduced maintenance costs and higher machine availability. Other special bearing materials include ceramic rolling bearing components, which provide excellent characteristics for certain applications. Silicon nitride balls, for example, are light and offer a longer operating life than standard steel ball elements. High performance plastics such as PEEK can also be used for bearing components operating in corrosive environments. PEEK is resistant to high temperatures and, depending on the load, is suitable for operating temperatures of up to 250°C. The wear resistance is strongly influenced by the filler materials and is significantly better than that of the standard material PA66 with glass fibre reinforcement that is often used for bearing cages. For applications in the food industry, Schaeffler’s range of housed bearing units (flanged, take-up and plummer block designs) can be protected with various coatings. The housings and insert bearings can be protected using Corrotect and the housings themselves can also be made from a corrosion-resistant (stainless) sheet steel or plastic (glass fibre reinforced PBT). Plastic housings are highly resistant to moisture, UV radiation, bacterial and fungal attacks, as well as many chemical media. These bearing units are used predominantly as locating bearings, but are also suitable as non-locating bearings under low loads and speeds. Due to their numerous technical advantages, track rollers generate added economic benefits for machine operators, for example, in bottling and filling plants. Track rollers require little installation space and operate reliably with low wear. They also have large grease reservoirs and effective sealing, which means relubrication is seldom required. Schaeffler offers a wide range of linear motion products. For food and packaging applications, the KUVE-KIT for linear recirculating ball guidance systems is highly suited. This sealing and lubrication concept takes account of all ambient conditions. The kit contains versatile components such as front and additional wiper seals, sealing strips and long term lubrication units. These accessories protect the guideways from contamination, provide long relubrication intervals, ensuring that lubricant is provided where and when it is needed. 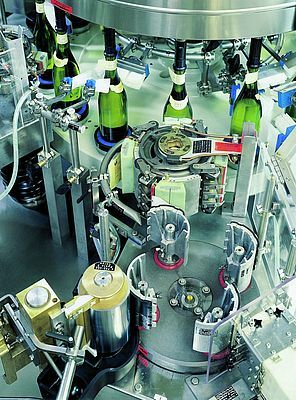 In bottling and filling plants, larger bearings are often required. The load carrying capacity of large slewing rings is needed to provide secure bearing supports for filling machines, star wheel transfer units or bottle rinsing machines. These damp, aggressive operating environments require highly reliable slewing rings. Schaeffler can provide four point contact bearings, crossed roller bearings (heavy or light series) with internal or external teeth, sealed or unsealed, in diameters up to 4 metres.